Abstract: The development of practical light sources based on group-IV semiconductors is a major outstanding goal of optoelectronics research, as a way to enable the continued integration of electronic and photonic functionalities on a CMOS compatible platform However, this goal is severely complicated by the indirect energy bandgap of silicon, germanium, and related alloys. A possible solution is provided by the ability of biaxial tensile strain in Ge to lower the conduction-band edge at the direct () point relative to the L-valley minima, until at a strain of about 1.9% the fundamental bandgap becomes direct. These strain levels are physically accessible, but require the use of very thin crystals (nanomembranes) to avoid strain relaxation via plastic deformation. With this approach, Ge tensilely strained beyond the expected threshold for direct-bandgap behavior has recently been demonstrated, together with strong strain-enhanced photoluminescence and evidence of population inversion. Here I will review the basic properties, state of the art, and prospects of tensilely strained Ge for infrared photonic applications. “Direct-Bandgap Light-Emitting Germanium in Tensilely Strained Nanomembranes,” by J. R. Sánchez Pérez et al., PNAS, vol. 108, pp. 18893–18898, 2011. Biography: Roberto Paiella received the B.S. and M.S. degrees in Electrical Engineering from Columbia University in 1993 and 1994, and the Ph.D. degree in Applied Physics from Caltech in 1998. His thesis research was focused on the nonlinear optical properties and applications of semiconductor optical amplifiers. In 1998 he joined Bell Laboratories, Lucent Technologies, as a Postdoctoral Member of the Technical Staff, where he developed high-speed quantum cascade lasers for ultrafast pulse generation and optical wireless communications. From 2000 to 2003 he was a Member of the Technical Staff at Agere Systems. In 2003, he joined Boston University where he is now an Associate Professor of Electrical Engineering. His current research is focused on group-IV semiconductor photonics, plasmonic control of radiation and absorption processes, and terahertz optoelectronics. 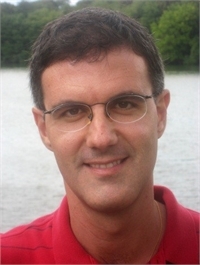 Dr. Paiella has coauthored over 70 journal articles, delivered more than 20 invited talks, and edited a book on “Intersubband Transitions in Quantum Structures”.